living your version of your best life. Whether you're seeking financial planning advice, need guidance on how to invest your money or you are experiencing a life transitional event... AFP is ready to focus your wants and needs into a plan to set those goals into motion. To do this, we build a map for your financial future, based on what you value most in life, ensuring our strategy encompasses core needs along-side your hopes and dreams for what could be. With 20+ years of financial planning experience, we pride ourselves on opening opportunities while protecting what's most important to you. strategize and choose wisely in your ongoing financial journey. our Wealth Management service should be your focus. Your peace of mind begins by knowing where you are today, so you can get to where you want to be tomorrow. First year clients of financial planning often equate their experience to drinking out of a fire hose. There are so many things that may need to be done and you may feel the need for validation that you are on the right path. AFP shifts this potentially overwhelming experience and scales things down to a manageable size so you can clearly see what the focus should be and how it can be achieved. We begin your financial life planning process by asking questions. YOU are the expert of your life and we are here to listen, strategize and guide you on your financial journey. Understanding your money mindset and identifying what you value most is at the core of how we customize a financial plan that meshes with your life today and into the future. 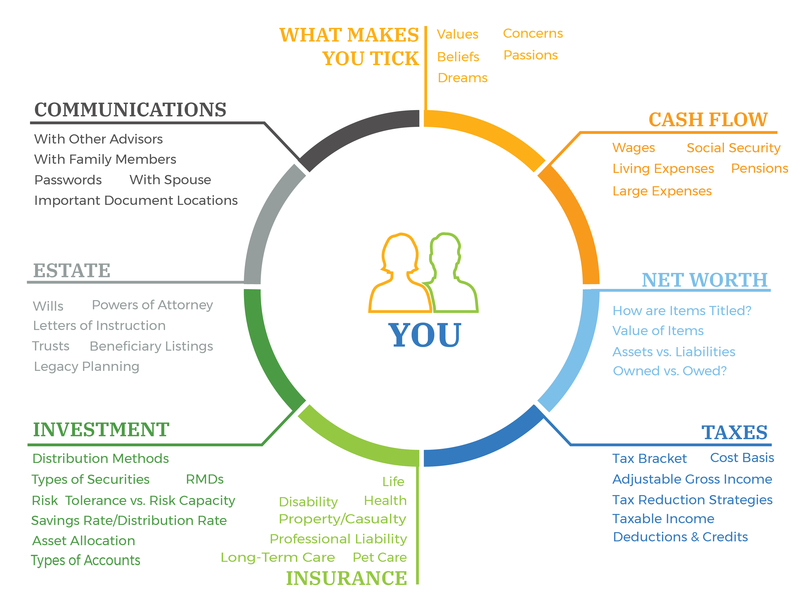 Through our well-defined interactive 5-step process, we help you identify, interlock, and reconnect the different pieces of your financial picture. We then run “what if” scenarios to test your key wants and needs, refining the vision and securing a solid foundation to move forward with your financial plan. The end result is a written roadmap that includes observations and recommendations of each key discipline. We then work with you to define a list of “To Dos” for each year of planning and assist you in implementing these tasks. In these complicated and pivotal times we live in, your money is core to your ability to take care of yourself and your family. At AFP, we take a proactive approach and co-create with you a planning process that is interactive and real time. We recognize that your financial plan is not stagnant – it is ever-changing and needing to be modified to grow with you. Given the changes in your situation, tax law revisions and the economy, we update plans annually to reaffirm you are on track. Embracing this process of continual reassessment, we ensure that your financial plan continually aligns with your life changes and your larger financial goals. As a value-additon to our annual financial planning updates, Alexander Financial Planning touches upon timely issues to enhance the planning process. One tool that is currently being used is Whealthcare, which helps our clients and their families proactively prepare for aging. We know aging can be complicated and emotionally exhausting. Studies have shown that as we age our brains loose flexibility. As a result our thinking may become more ridged, our decision-making more difficult and this may lead to poor judgement. Whealthcare planning was developed with thought leaders in wealth management, psychiatry, health care and geriatrics. Some of the tools used are a result of a study conducted at Massachusetts General Hospital which examined the relationship among aging, cognitive impairment, and financial decision-making. As a result, Whealthcare planning was created for financial advisors and Alexander Financial Planning has chosen to provide this service to their clients. This program helps our clients assess where they are cognitively, what the triggering events should be to implement changes and other decisions they would like to see implemented as they transition through the aging process. Changes in living arrangements or driving need to be thought through instead of scrambling once an event causes these decisions to be made in haste and often at increased costs.By creating a proactive plan to address these transitions and revisiting it periodically, our clients remain in control of their lives as responsibilities shift to those they have appointed. Wealth Management brings financial life planning and investment management together under one service. We’ve shared what financial life planning is... now we will share more about our investment management approach. Trying to understand how to invest, what to invest in and where to make those investments can be a bewildering prospect. With the day-to-day fluctuations in the markets, your experience can feel like an emotional roller coaster. AFP can help smooth and streamline this process by aligning your investment returns with your goals and time horizon. Our role is to educate and simplify the investment process for you... and we do this though a series of mindful and time-tested steps. One of the benefits of being involved in the investment world since 1981 is our long-term perspective in appreciating and understanding the markets. We may be able to determine where the current technical and fundamental indicators are in the markets, but at the end of the day, one’s emotions can get the better of them and cloud our ability to make confident and decisive choices. Over the years, our team has encountered a wide variety of investment philosophies – the latest and greatest ways to invest. It is our belief that the one that rises to the top, and remains solid and consistent over time, is the “Buy and Hold’ approach. At AFP, we refer to our proprietary version of this as the “All-Weather” Portfolio Design. Or in other words, “we are not so smart to out-smart the markets” approach. This is the philosophy we ascribe to with our clients – many who have been with us several decades. AFP constructs diversified portfolios for their clients using no-load mutual funds and exchange traded funds (ETF). The underlying investments can employ an active or passive style of management. We use a propriety list of approved securities that have been selected and researched by a seasoned nine-member NAPFA investment advisory panel, of which AFP is a member. This screening process aids in the selection of securities that meet an approved list and is updated monthly. Over the years, several funds within a fund group continued to meet the stated criteria. As a result, AFP became a Dimensional Fund Advisor and is approved for the purchase of DFA funds. DFA transcends the rigid limitations of traditional index funds and avoids the cost-generating activity of stock picking and market timing. DFA focuses on the dimensions of capital markets that intelligently and efficiently reward investors, using indexes that overweight small cap and value stocks, where the expected returns are greater. Rated the best overall mutual fund company by more than 1,000 Investment Advisors, DFA's funds help investors create globally diversified portfolios of index funds. DFA funds are only available to individual investors through DFA approved investment advisors. We take costs into consideration. Our objective is to achieve the lowest cost for the greatest opportunity. That’s why we are transparent and we want you to know what you’re paying for; expense ratios, ticket charges and spreads. We strive to optimize tax efficiency in your portfolios. This speaks to the type of investments you hold in your different accounts and being mindful of the transactions or distributions being made in your accounts. This helps to keep your risk and return in alignment. We review the titling of all your accounts and beneficiary listings. Exploring the different titling options on your accounts, who you have named as beneficiary and how this decision impacts the transfer of your assets in the future is key. We have access to share classes and managers you may not have. As an Investment Advisor, we can invest in the institutional class shares of some managers and this gives us a vantage point to lower expenses that we pass on to you. We may also be able to get into a mutual fund that is closed to a retail investor. We work towards simplifying your accounts. There are times when it makes sense to consolidate and simplify your holdings. Our role is to manage the managers. If a no-load mutual fund or exchange traded fund (ETF) is underperforming, changes their investment philosophy mid-stream, has a key manager change, or no longer meets our approved list, they will be replaced. Each client is unique, so your specialized portfolio is constructed exclusively to meet your specific needs and requests. Once your portfolios are in place and implemented, a continual process of review unfolds. This process ties into your financial plan and ensures you are moving closer to your goals today, tomorrow and into the future. To expedite and communicate the performance of your investments, we provide a quarterly report with a complete list of your accounts, their values and your overall asset allocation. This report allows us to track your performance against different benchmarks, to determine if your portfolio is performing in alignment with where it should be and more importantly, with your goals. At AFP, we update plans annually to reaffirm you are on track. This yearly reassessment ensures that your financial plan continually aligns with your life changes and your larger financial goals. During our "Annual Update" meetings, we review your portfolios with you to determine if any adjustments need to be made, due to cash flow need changes, risk concerns, personal constraints or windfalls. AFP offers direct online access to your personal financial website, pulling all your financial information into one area that reflects up-to-date changes on a daily basis. This personalized tool tracks your spending, savings, and total investment portfolio, while providing you a place to store important documents such as insurance policies, estate documents, and tax returns. The path that leads to financial success includes detours along the way. to keep you on track. It has been said, and I quote, “when money changes, life changes. And when life changes, money changes”. We at AFP believe this to be true, as the probability that you will experience a life changing event during the course of your lifetime is 100%. The presence of this unavoidable future circumstance is a common reason why people seek out the services of a financial planner, and our team at AFP is ready and properly-equipped to help you strategize and plan for those unknown situations. However, when working with clients experiencing these life changing events, we realized that while we had the technical skills and expertise to address their needs, we found something in the mix was missing. We needed a process to assist clients not only through their technical needs, but also to assist and support them in the personal side of their transitions. 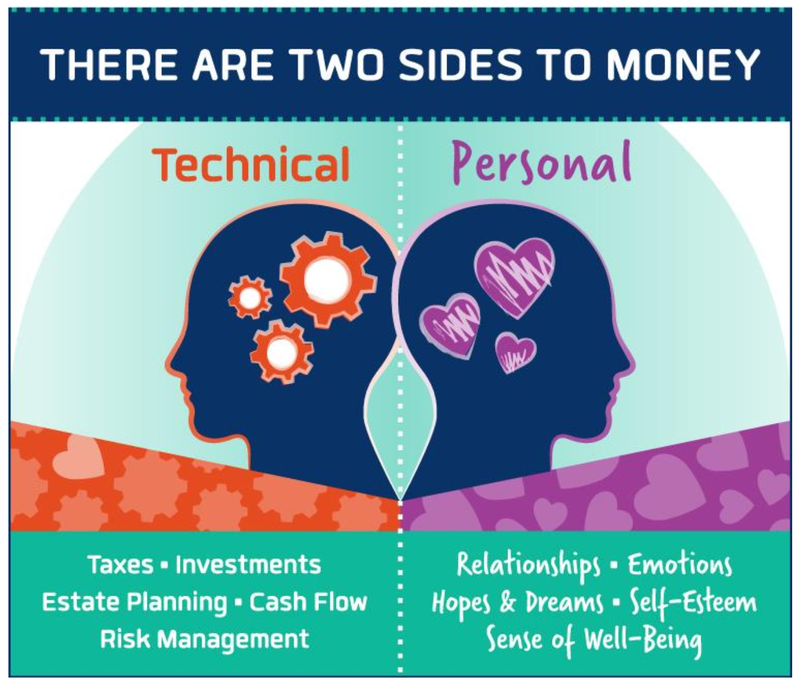 To address this specific area of need, the AFP Team has invested in learning that has enabled them to help individuals and families work through both the technical AND the personal sides of money, especially when unexpected life transitions occur. To become a "Financial Transitionist", Teri Alexander perused an 18-month training course to receive her official certification in this new and important area of personal financial care. True to Teri's belief in on-going education, she continues to attend new education programs and seminars, building on her knowledge and experience. As a certified "Financial Transitionist", she joined the" Mastery Track" to stay current of changes in this growing field of study at Sudden Money, and continues developing her skillset as an additional "overlay-service" for the financial planning process offered at AFP. Transitions thrust us into a position where, what we once considered to be stable, is suddenly in a state of flux. And depending on your mindset about change, and your experience up until your next moment of change, that’s either exciting or terrifying. 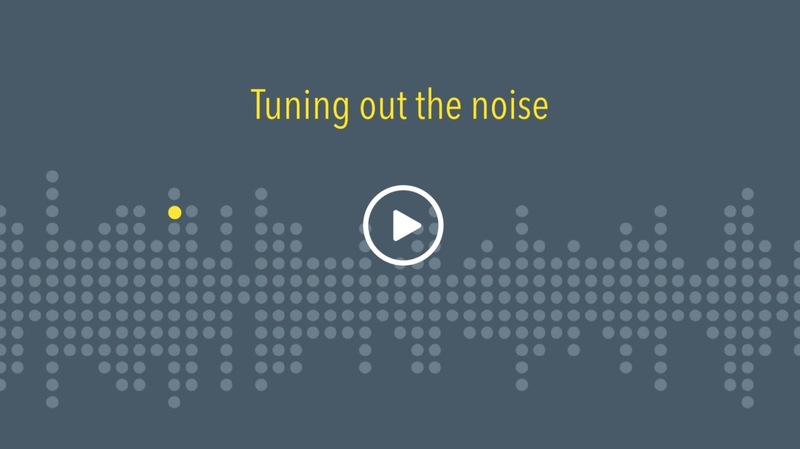 Transitions affect how we think, how we feel, and how we act about money. We may become numb, withdraw, experience serious fatigue, have a short attention span, or behave inconsistently when confronted with these stressful and sometimes traumatic circumstances. That's why we are here to offer an additional layer of service to our clients, to address these concerns and emotions with confidence, knowledge and experience. As your Financial Transitionists, we know how to help keep you safe if you’re feeling vulnerable and how to challenge you to further enhance your experience if you’re feeling strong. Developed by a faculty of experts and field-tested for over 16 years, our approach, tools and protocols have been designed precisely for these purposes. no matter what the future holds. We take great pride in ensuring that we are able and capable of fulfilling the needs of our clients throughout the full spectrum of their financial journey with AFP. if our services are right for you. At AFP, we help enrich your life story through thoughtful and effective financial life planning. We're ready to uncover what is important to you and begin your journey towards the life you are seeking.